I love that one of the major trends for Spring 2013 is black and white. May it be stripes inspired by Marc Jacobs' RTW collection, checkerboard fashion from Louis Vuitton, stylish grid as seen on Sportmax or basic color blocking, black and white is clearly a classic combination. 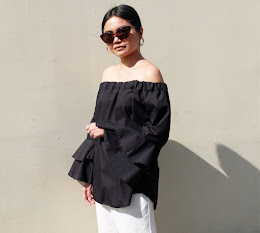 I've worn countless ensembles featuring this trend (see here and here) and for this outfit, I'm wearing a simple sleeveless button down and paired it with my pleated chevron skirt. 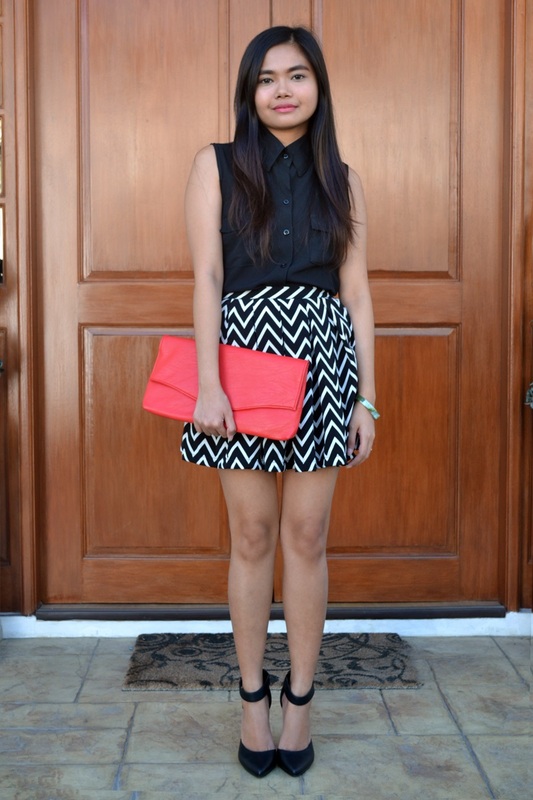 To avoid looking too plain, I chose a red clutch to add a pop of color. Aside from red, lemon yellow and cobalt blue work well also. Graphic black and white was also highlighted on Stylebible.ph. Check out how seven fashion bloggers (including myself) interpret this trend here. nice outfit! I really love black and white!